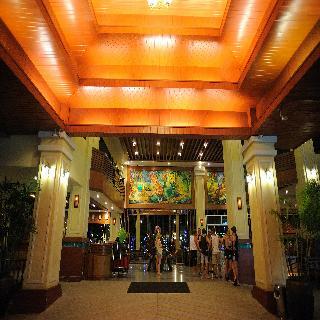 The resort is situated just outside of Patong, Phuket. 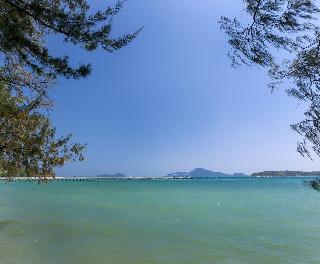 It offers an elevated position above the beautiful Tri Trang Beach which itself is a rare, truly unspoiled Thai beach. Tri Trang Beach is the most fantastic beach in Patong because of its clean white sandy beach and crystal-clear water. The city of Phuket is approximately 18 km away from the hotel.There is a total of 117 rooms at the resort. The staff warmly welcomes guests to the resort, and guests will not want to leave this idyllic slice of paradise. Facilities at the hotel include lift access, a restaurant, room service and a laundry service.The resort offers comfortable guest rooms each fitted with a balcony. All rooms are en suite with shower. Amenities provided include satellite/cable TV and a safe. There is a minibar as well as a fridge in each room. 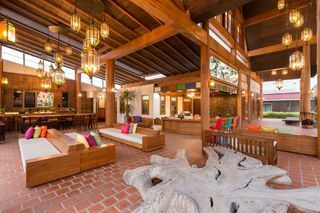 Individually regulated air-conditioning is standard.The hotel features an outdoor swimming pool.The resort has an international restaurant that offers traditional Thai meals, as well as European and American specialities. Offering an outdoor pool and a restaurant, Bayshore Ocean View is located just 400 metres from Patong Boxing Stadium, 1 km from Jungceylon Shopping Centre and 1.2 km from Bangla Road. 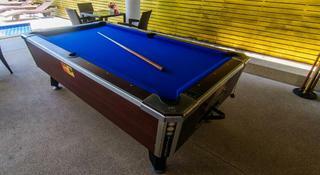 All air-conditioned rooms come with free WiFi and views of the city.Guests can enjoy a game of billiards on site. Staff at the 24-hour front desk can assist guests with luggage storage, laundry and other queries. 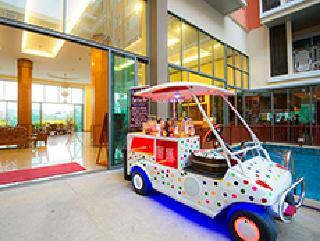 The hotel also arranges shuttle service to and from Phuket International Airport (24 km) as well as local attractions. Each spacious room is fitted with tile floorings, a flat-screen cable TV and a seating area. A safety deposit box is standard in all units. The minibar area comes with an electric kettle and a refrigerator.En suite bathrooms are supplied with slippers and free toiletries. 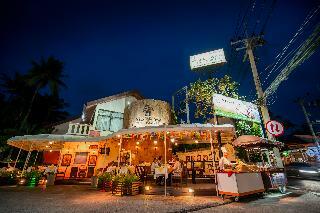 Under a journey of 7.0 km, guests can pay a visit to Phuket Simon Cabaret, Go-Kart Speed Way and Paradise Beach. 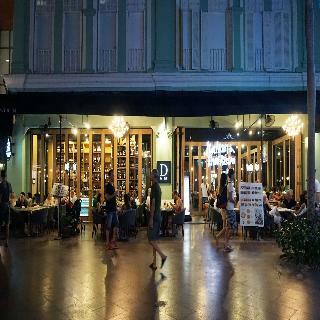 The in-house restaurant and bar serves delectable Thai and international cuisines as well as special cocktails and drinks. Inspired by the rich cultural heritage of rice farming, Naina Resort & Spa welcomes visitors from around the world with a glowing hospitality, bringing back the beautiful traditions of the local people. 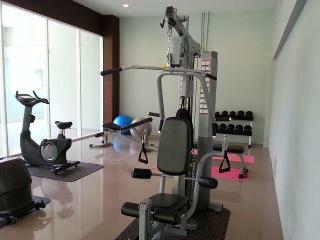 With our comprehensive facilities and services, we promise you the convenience and comfort you deserve. Discovering our onsite restaurant and our unique customary spa from our rice products where you wouldn't find anywhere else.This property is 10-15 minutes walk to Patong beach, Bangla Road and Junceylon Shopping Mall. Phuket International Airport is 50 minutes by car. 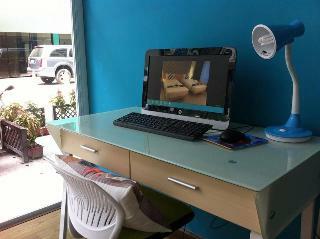 It offers free Wi-Fi in all areas and private parking on site. Staff at the 24-hour front desk can attend to guests' requests.Fitted with a balcony, each air-conditioned room features a flat-screen cable TV, fridge and en-suite bathroom with shower facilities. Our on-site restaurant offers variety of tasteful Thai and International dishes at a price anyone could reach. Guests can benefit from the well-equipped fitness centre or simply take a stroll in the garden or experience the customary rice farming with our farmers (Schedule available at Front Desk). Travel arrangements and daytrip can be made at the tour desk. Laundry and shuttle services are available at a fee. There is a boxing stadium nearby where you can learn Thai Boxing at very special rates. 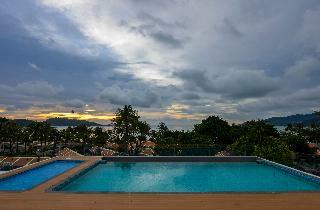 This popular property is situated in Phuket, just a 10-minute drive from the famous Patong beach. Guests looking to sparkle their vacation with a small shopping spree will be just a 5-minute drive from the 200-plus stores Jungceylon Shopping Mall, where they can find anything from brand-name clothes, cosmetics and perfumes, to tons of mobile phones and a 5-room SF Cinema plus a 16-lane bowling alley, perfect for rainy evenings or to escape the heat of the day. Those who want to take full advantage of the warm weather should simply splash in the outdoor pool of the hotel and enjoy a chilled drink while they work on their tan. When hunger calls they can enjoy a delicious meal from the onsite restaurant and then get back to relaxing on the sun-loungers or head to their comfortable, modern room for an afternoon nap. 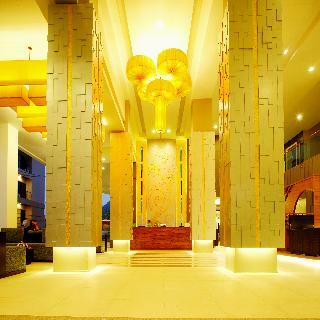 This beautiful resort is situated in the centre of the popular tourist area of Patong. The property is in an excellent location, one block away from the beach front. 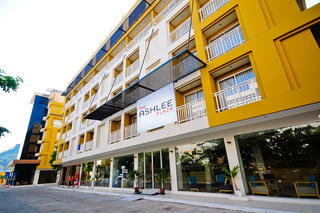 It is situated a stone's throw from Patong's main shopping district, where guests will find numerous dining and entertainment possibilities. 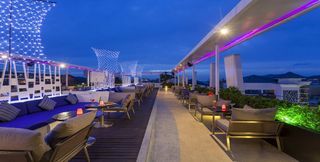 This modern hotel boasts excellent facilities, including a roof top terrace with pool providing great views of Andaman Sea. Rooms are comfortable and fitted with up-to-date amenities. This is a great place to stay for relaxed holidays. SLEEP WITH ME HOTEL design hotel @ patong is only a 6-minute walk from a golden-sand beach (Patong Beach). 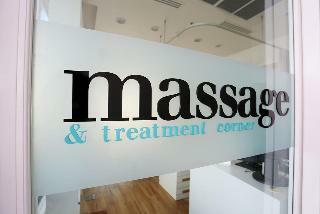 Sleep With Me Hotel provides modern rooms, less than a 5-minute walk from Patong Beach and Jungceylon Shopping Mall. Boasting an outdoor pool, it has free Wi-Fi in the public areas and on-site dining options.Karon Beach is a 15-minute drive from Sleep With Me Hotel, while Phuket Town is a 20-minute ride away. A 50-minute ride takes guests to Phuket International Airport.Bright and airy rooms feature a private balcony and air conditioning. They are equipped with a refrigerator, a flat-screen satellite TV and a safety deposit box. En suite bathrooms come with shower facilities, slippers and free toiletries.For guests' convenience, the hotel offers a 24-hour front desk and on-site parking facilities. A a tour desk and meeting facilities are available.Sa Bai With Me serves international dishes and is open for all-day-dining. Other options include Sway With Me Restaurant and Swing With Me Bar, where guests can enjoy refreshing beverages. Discover the biggest continent in the world with Hotelopia. Incredible destinations such as Thailand, China, Hong Kong, Malaysia and Indonesia await you!